Rolex is introducing the new generation of the Oyster Perpetual Datejust 31. In 18 ct white, yellow or Everose gold, the new versions of the Oyster Perpetual Datejust 31 are equipped with calibre 2236, at the forefront of watchmaking technology. Amongst the many combinations available, one, in 18 ct white gold, is fitted with a white mother-of-pearl dial and a diamond-set bezel. 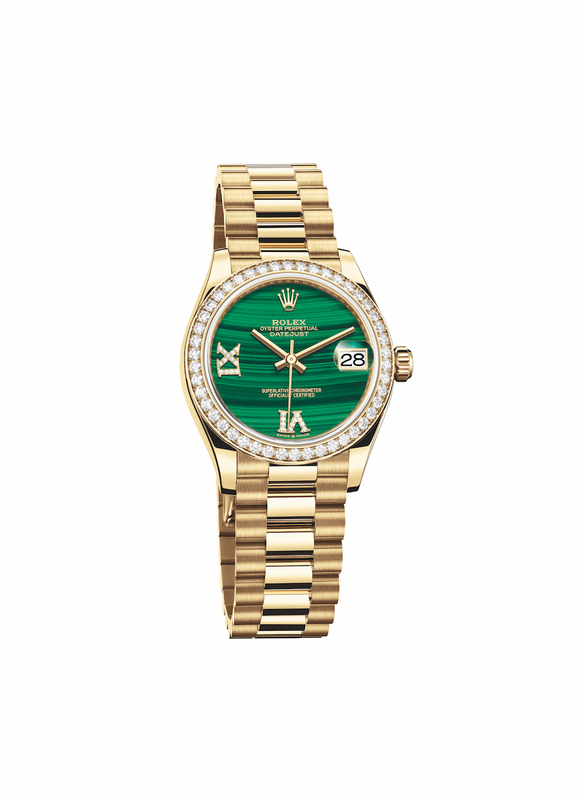 Another, in 18 ct yellow gold, features a malachite dial with a Roman VI and IX in 18 ct yellow gold set with diamonds, and a version in 18 ct Everose gold is introduced with a diamond-paved dial inlaid with pink mother-of-pearl butterflies. Like all Rolex watches, the new-generation Datejust 31 carries the Superlative Chronometer certification, which ensures excellent performance on the wrist. 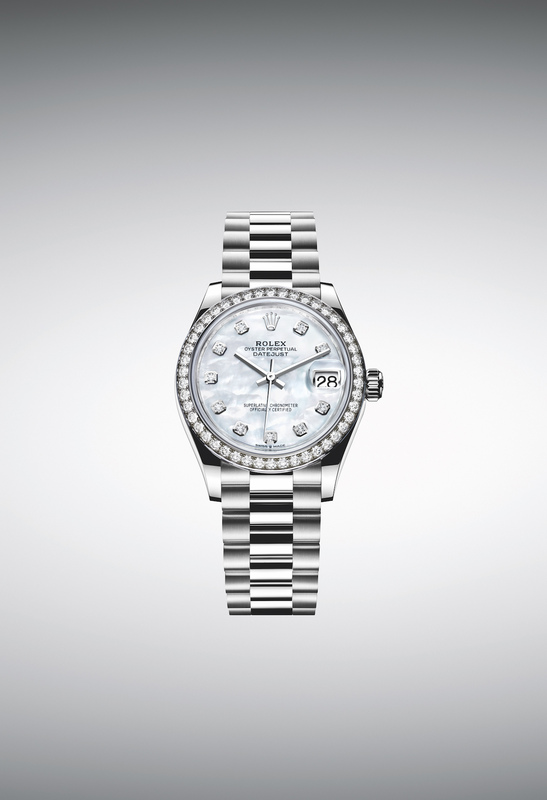 Rolex’s Datejust is the archetype of the classic watch thanks to functions and aesthetics that never go out of fashion. Launched in 1945, it was the first self-winding waterproof chronometer wristwatch to display the date in a window at 3 o’clock on the dial, and consolidated all the major innovations that Rolex had contributed to the modern wristwatch until then. he Oyster case of the Datejust 31, guaranteed waterproof to a depth of 100 metres (330 feet), is a paragon of robustness and elegance. 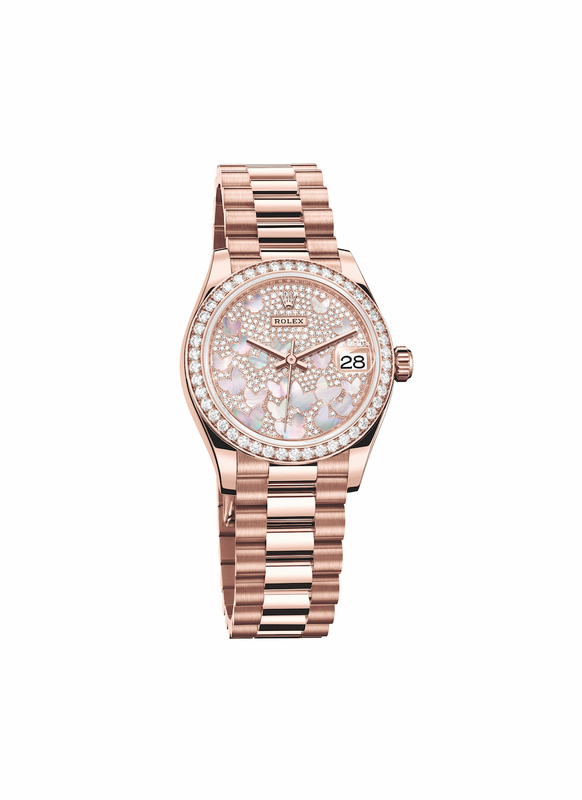 Its refined middle case is crafted from a solid block of 18 ct yellow, white or Everose gold. The case back, edged with fine fluting, is hermetically screwed down with a special tool that allows only Rolex watchmakers to access the movement. The winding crown, fitted with the Twinlock double waterproofness system, screws down securely against the case. The crystal, with a Cyclops lens at 3 o’clock for easy reading of the date, is made of virtually scratchproof sapphire. The waterproof Oyster case provides optimum protection for the Datejust 31’s high-precision movement.